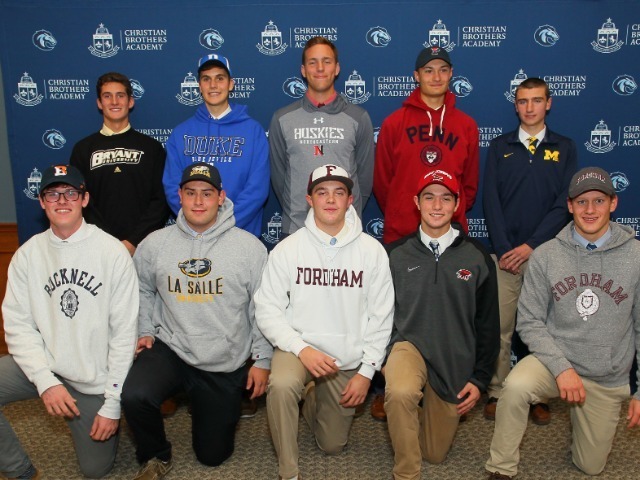 Ten Christian Brothers Academy student-athletes inked their commitments to Division I colleges across the country on the National Early Signing Day. Canale, Foltz and Hill are all standout runners at the Academy. All three were members of the state championships won by the indoor and outdoor track teams last year. Canale and Foltz were consistent pieces to winning relay teams at multiple championships during last year’s run. Hill has led the pace for CBA Cross Country in 2017. 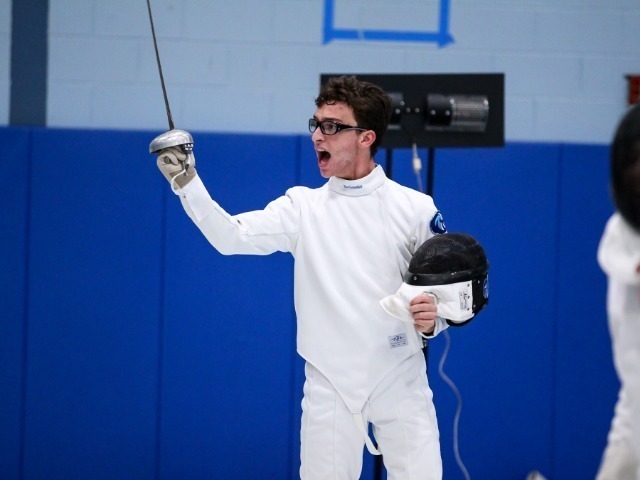 He recently notched CBA’s number one finish at the Manhattan Invitational, Monmouth County Championship and Shore Conference Championship, all events in which the Colts won the overall title. 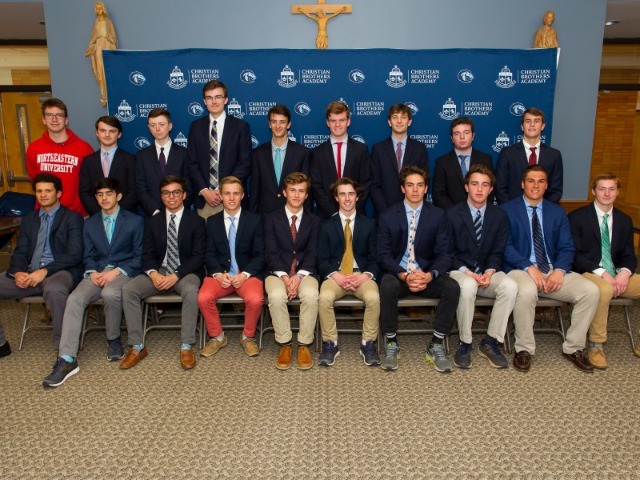 Hampton and Wicks are fixtures on the CBA crew team, which qualified for the Scholastic Rowing National Championships and won multiple state events last spring. Harnisch, Hohenstein and Venancio will be seniors on the baseball team, which returns much of last year’s lineup in hopes of winning a fourth Shore Conference Championship in five years. 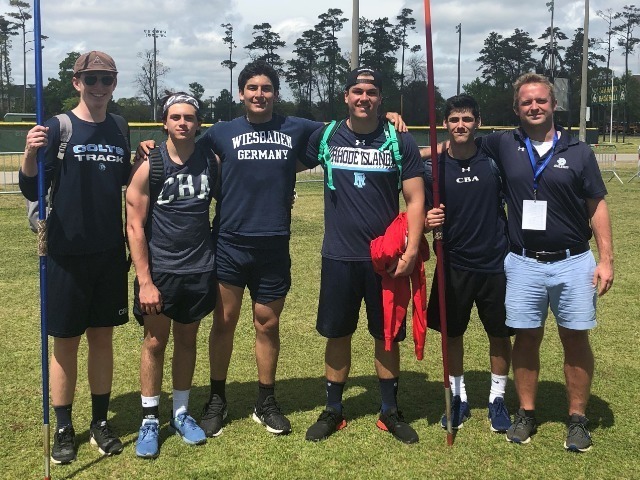 Hohenstein is widely regarded as one of the biggest dual threats in the area, leading Christian Brothers at the plate and striking opponents out on the mound. Carroll is an attackman on the lacrosse team, notching his 100th career goal late last spring. He is one of only nine CBA players to reach the vaunted 100 goal plateau. 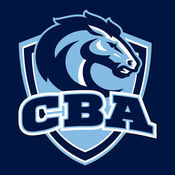 Finally, Wright is one of the leaders of the decorated CBA swimming program. He has played a pivotal role in helping the Colts capture Shore Conference titles in each of his years on the varsity team. 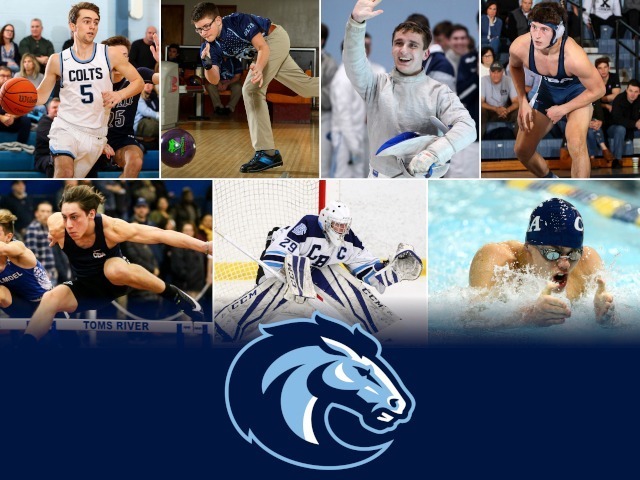 CBA will host additional signing days in February (soccer) and April (all sports).